Now that Spring is here and flowers are in bloom left and right, all of the beautiful vibrant colors are making a bit of an appearance and slightly influencing my fashion choices. I've been wearing more shorts and colorful tops/jeans as the season was beginning so when out of the blue a friend decided to gift me with a few pieces, I found it fitting to feature them in my shopping finds for April as my spring basics. First I should point out that everything in this image is new save for the straw purse that is an old purchase from Shein. 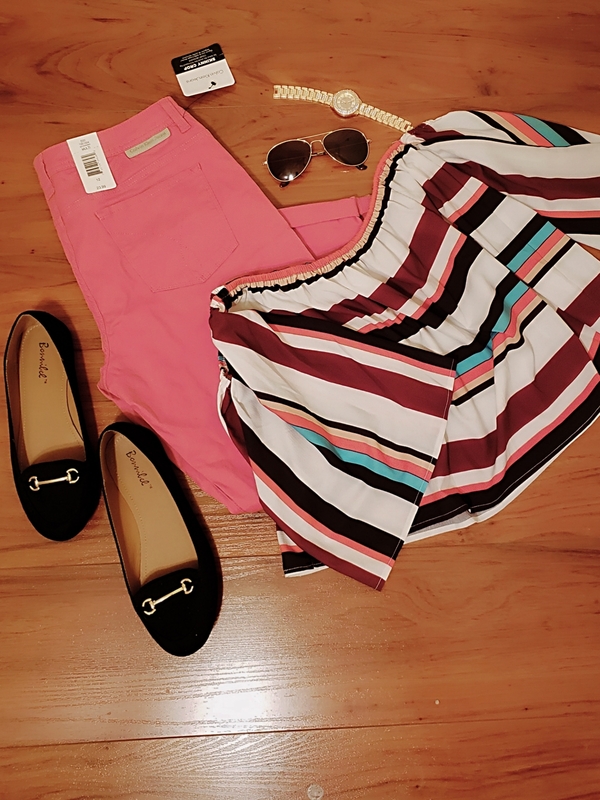 The blue checkered shorts and black lace top were gifts from my friend while the black wedges are a new buy from K&G Fashion Store that retailed for just $22. I put these pieces together because this is one way I would style the look for an evening out. 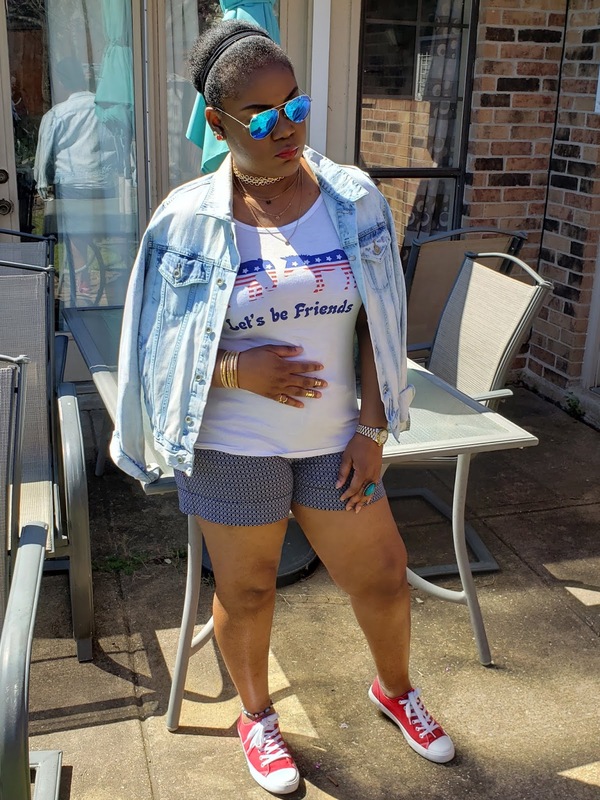 If you have been following me on Instagram, you would have seen me style the shorts more casually which is an obvious sign of its versatility. These salmon colored pair of jeans is perfect for spring because it is a nice departure from the usual black or blue ones we wear to style with more colorful tops. I paired the jeans with an equally colorful off shoulder short top from Romwe and my favorite black flats. The jeans have a little stretch in them and are in the roll up style so pairing with a cute wedge or block high heel would also be a lovely ensemble to rock on a shopping day out at the mall. This bright and fun yellow cold shoulder top complete with the palm leaf design is actually another old purchase that I never got round to wearing. 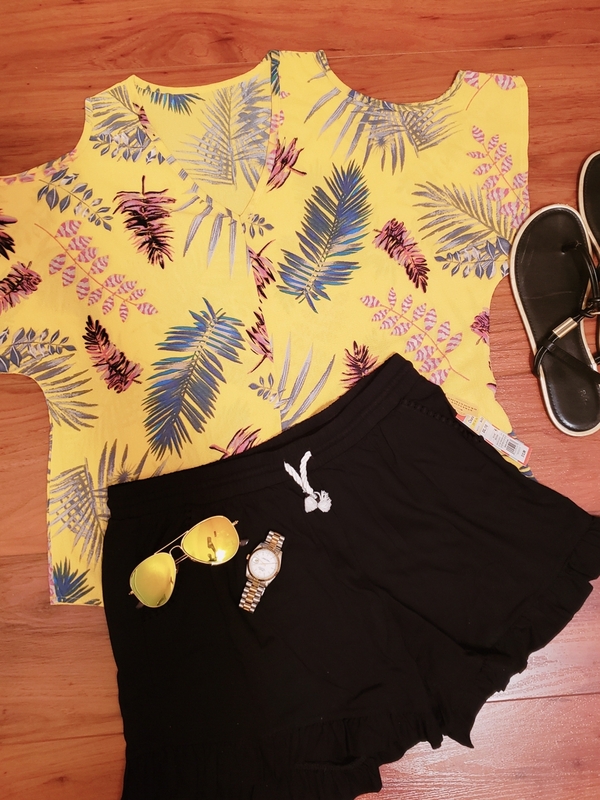 I styled it with a pair of black shorts and my black and gold Montego Bay sandals that I plan to wear to the movies next week. Being a light chiffon fabric means I get a sufficient amount of air if the weather opts to warm up a little. Of course you can have a nice long scarf or pashmena to throw around yourself if the movie theater gets too chilly. 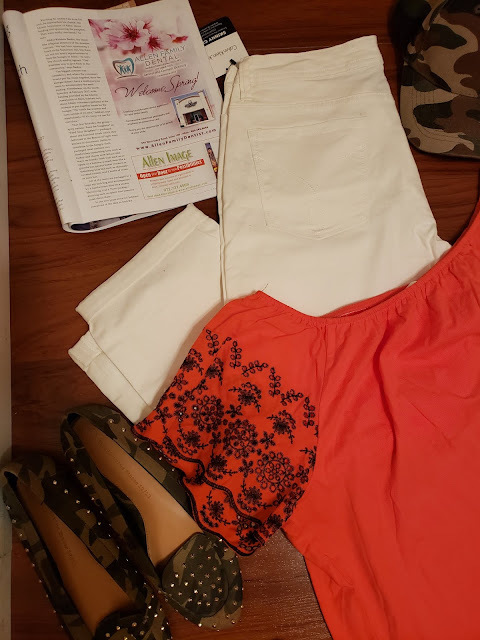 Also gifted was another pair of white roll up jeans that I'm choosing to style with this orange off shoulder top with the pretty cut out detailing on the sleeves that I picked up from H&M last year. I thought it would be fun to play with some camouflage as an offset to the white and orange and will probably take pictures with this look for my Instagram to see if it comes out looking the awesome way I see it in my head. 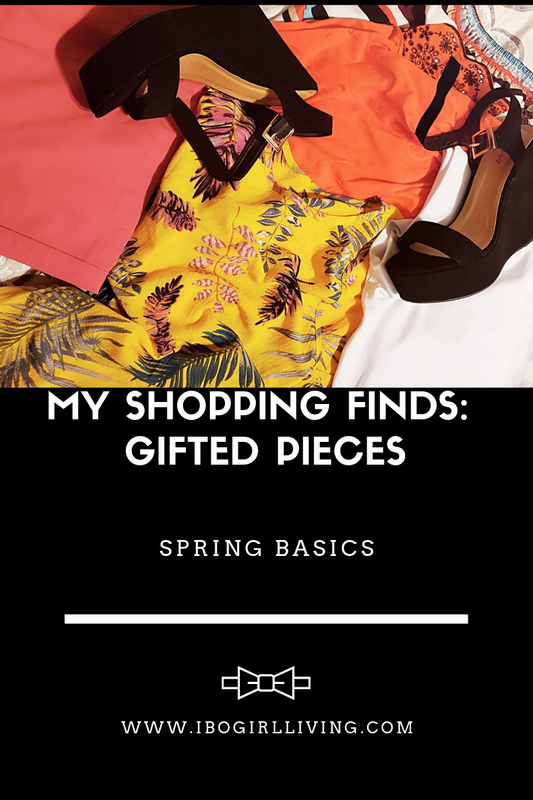 Because I was away for quite some time, I was able to shop and get a good amount of spring basics from different stores which you will get to see a bit of on Instagram and in upcoming posts so I may not need to go looking for any shopping finds for a bit but then again with me, you never know. I'm excited for Spring, it's actually my second favorite season after Fall.